In recent years and acutely in recent months, we have witnessed the severe impact of failing to plan longer-term. The Penn Station fiasco, the “kick the can down the road” pension deficit approach, the Gateway Tunnel crying need, the potentially horrific scenario of failed bridges or water quality and quantity failures all will not go away by the next election. Multiple independent studies demonstrate the staggering financial costs of the continued delay in addressing the state’s longer-term needs in pension, health care, transportation, water quality and quantity. The combined costs are in excess of $100 billion and growing. So far, the general public has shown little interest in these long-term critical issues. A recent Monmouth University poll showed that the property tax issue is the No. 1 concern for residents. The pension and transportation issues were much further down the list. But imagine what the future would look like if there was a sudden major problem. What would happen to commercial real estate if one of the Hudson River tunnels was not available? Can you say “Armageddon” with a Jersey accent? What would happen to residential property values if the New Jersey commercial real estate sector declined dramatically? How would New Jersey be able to compete with other states for new companies in the relocation wars? How will the state pay for its portion of these sudden costs? The ability to borrow has been significantly eroded and the resultant impact on the cost of borrowing would be expensive. Every governor since Gov. James Florio has failed to propose a budget that makes the necessary payments into the state pension system. No governor or legislature has been willing to seriously tackle the public employee health plan. The cumulative impact of these failures is coming due. The Pension and Health Benefits Study Commission report in 2015 showed the deficit to be in excess of $80 billion and growing. The use of short-term gimmicks will not work any longer. How will the state balance a budget if it is forced to make dramatically larger pension fund payments without either tax increases or huge budget cuts? What would happen to programs like Grow New Jersey that have been very important to the commercial real estate sector and job growth? During this year’s gubernatorial campaign, none of the candidates has addressed the pension and health or infrastructure issues in any meaningful way. What business with a $34 billion annual budget operates without a long-range plan? Unlike the federal government, which can print money and have an unbalanced budget, New Jersey cannot. To address the needs, either revenues must increase (i.e. higher taxes and user fees), or spending must decrease, or a combination. Independent fiscal analysts have unanimously agreed that spending cannot be cut enough to make a meaningful impact. So, what should we do about it? I believe there are several important steps the next governor and Legislature can take. First, acknowledge publicly that the state is at a critical point on the fiscal and infrastructure issues. This acknowledgement is an important step in rallying public support for other tougher steps down the road. Second, undertake a comprehensive long-range fiscal plan beginning with the establishment of a commission composed of business and community leaders that includes no elected officials from any level of government. The commission would be given financial support from the state for its work, including research. The charge for the commission would be to study the long-range risks facing the state and develop a strategic plan to address the risk findings. The breadth of the commission’s study would include the fiscal deficit, infrastructure deficit, climate impacts and other long-range concerns. The commission’s recommendations should not focus on what is politically feasible in the short-term, but rather create a plan that maps the decisions and direction needed. The governor and Legislature would then have to come up with a plan to deal with the commission’s findings. Some of this work has already been done. The Pension and Health Benefits Study Commission report included some thoughtful recommendations on how to fund the estimated nearly $100 billion deficit. The “Facing Our Future: Infrastructure” report by NJ Future was completed in 2013 and showed a staggering annual funding deficit for transportation alone in excess of $2 billion. Third, quickly move to revise the state’s land use laws to adapt to the changing economic and demographic needs of the state. The Municipal Land Use Law is in serious need of a complete reexamination since its initial adoption in 1975. The decision making on land use should be revised to better coordinate the state, county, municipal and agency reviews with the goal of reducing the time, improving the public input process and aligning economic, environmental and social interests. Fourth, municipalities and counties should also be required to do a long-term strategic plan similar to what the proposed independent commission will undertake. A SWOT-type analysis (strengths, weaknesses, opportunities and threats) may be a condition precedent to make the strategic plan meaningful. 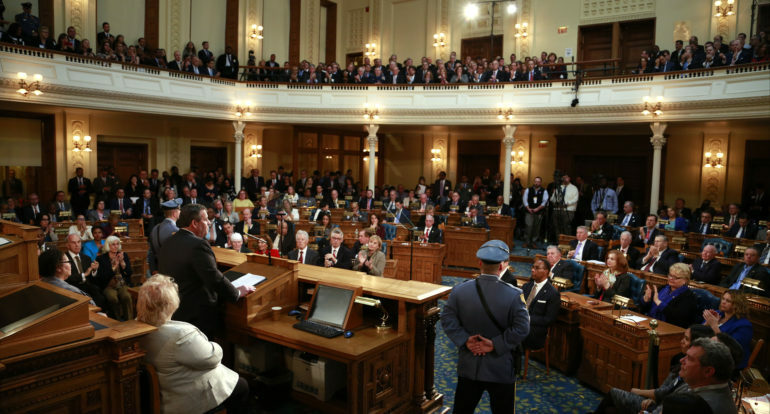 New Jersey has some wonderful strategic advantages for the real estate industry. Let’s not waste them by ignoring the structural fiscal issues that threaten to undermine the vibrant real estate markets. Strong leadership from the next governor and Legislature has never been more critical. We are very close to the “tipping point.” Let’s not fall over the fiscal cliff as we chase that can down the road and over the edge. 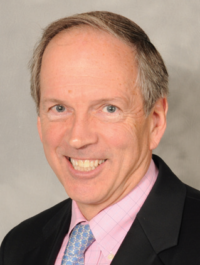 Peter S. Reinhart, Esq., is the director of the Kislak Real Estate Institute and the NJAR/Greenbaum/Ferguson Professor of Real Estate Policy at Monmouth University. He is also of counsel with Greenbaum Rowe Smith & Davis LLP.